Who knew straps could just bring it all together. This is my Oda Bag. ...'Cool! Can you make me one?!' response from our soon-to-be-senior daughter. But now that is all done -- I just simply love it. Oooo this is so pretty! That is fantastic! I love the colors! Wow! Love this!!! Great colors! Parabéns pela escolha das cores. Ficou fantástica! This is absolutely stunning! I love the colors you used too.... so bright and pretty! You have inspired me! Dawn, It is absolutely beautiful!! 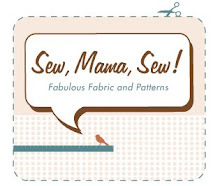 Hmmm.... it would look wonderful in fabric too! Beautiful ... just beautiful. I have to make one. Its happy, pretty, just a delight to look at. Your work is excellent. Just beautiful again Dawn. Thanks for sharing the awesome photos! Nice job! I love it for this summer. Oh my, really beautiful bag!! I could only say WOW, too! This bag looks like the perfect summer, the colours are perfectly bright and happy and the white makes them shimmer and glimmer like jewels. Now I only hope that you are having much more sun and summer weather than we do and that you could enjoy it on really hot beaming days! Absolutely beautiful! I love the bright and happy colors you chose. And like you, I'd probably need some help putting it all together. Thank you SO much for sharing! Love the colours! The white border really makes them pop! I don't envy you having to sew in all of those ends. It's so... perfect and makes me want to crochet on myself !! GORGEOUS!!! 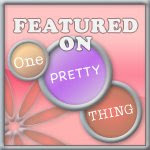 I have a link party on my blog and I would LOVE it if you'll add something. Hope to see you there! Wauw Dawn....what a great idea and what a lovely bag! !...it looks so great with all that stunning colors...well done!! Wow. Um, I love this! Absolutely amazing and optimistic bag! I just love it! Here's my bag, your inspired! Hi Dawn. I love your hexi bag! 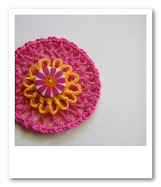 I will be sharing a few at www.tangledhappy.blogspot.com next week. Would you mind if I shared one of your photos and link to your lovely blog? Thanks for sharing this. Happy New Year! GORGEOUS!!! LOVE all the colors!! I know what you mean about all those strings to weave in and snip... That's the part I hate!! lol. Hello Dawn. So happy to see you at Tangled Happy today! I did link you your pretty hexagon purse in last Fridays post 1/7/11. I have done quite a bit of browsing around you lovely blog. You have made so many beautiful things. Thank you for sharing your beautiful blog and inspiration with all of us! Oh my.....gorgeous!!! New follower from a brand new crocheter!! What method did you use to join the hexs'? It's absolutely gorgeous! I just whipped stitched all of the hexies together...and thank you! Oi amiga, adorei todas as novidades do teu blog, também trago novidades para ti contar, confira e depois deixe um comentário para eu poder saber o que achastes,beijokas.